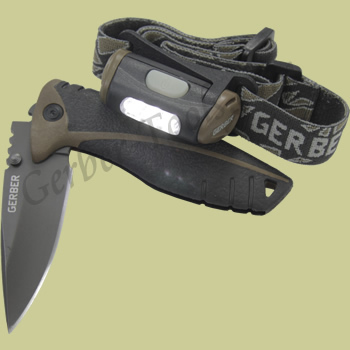 This is the Gerber Myth Knife and Headlamp combo pack, model 31-002406. The headlamp and the knife match each other to make a really good pair. 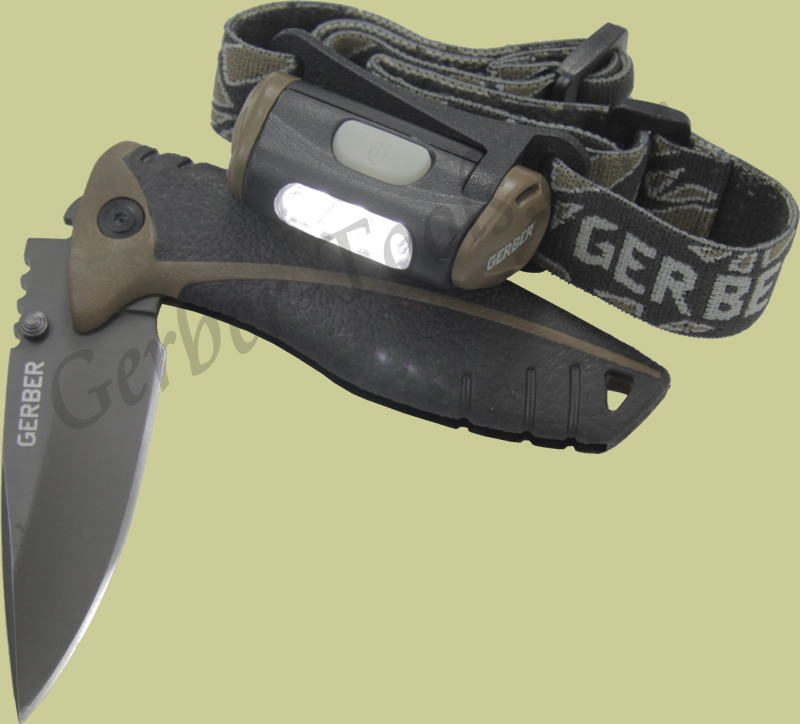 The Gerber Myth knife is a traditional lockback with a comfortable rubberized handle. 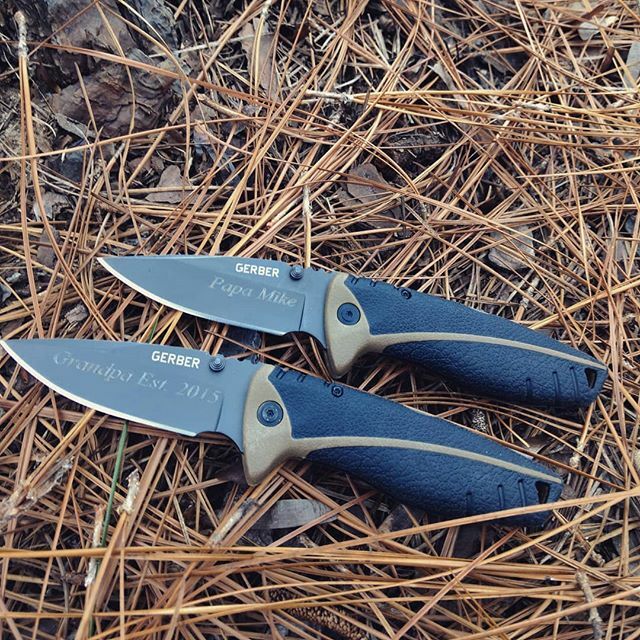 It opens manually using the ambidextrous thumbstuds on the blade. The headlamp included with the kit uses one AAA battery for up to 5 hours. It has three intensely bright LED lights that are controlled by a push button on the housing. A first touch of the button puts all three LED's in high output. A second touch of the button dims the LED's slightly. And then a third push turns them all off. The headlamp mounts using an elastic band that can be adjusted to fit pretty much any size head.